Hi! We loved your post over at KiwiLog and decided to feature it as part of our weekly mom blog round-up. Cheers! Here are some (http://www.naturemill.com) made great compost bins that use hot composting method to turn food wastes into fertilizer in just two weeks. It's a great compact composter for apartment dwellers or anyone who doesn't want to have their food wastes haul hundred miles away by diesel guzzling trucks to the composting facilities. Just came by to tell you how awesome it is that you're interested in composting. 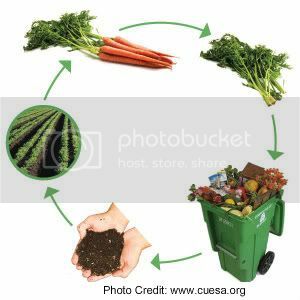 I'm a big composting fan myself and use the Bokashi bin for it. It works great, but it sure is a big investment. There are plenty of ways to make your own compost piles, without spending too much money on it. Maybe you can do some research on that? I'm sure you'll manage! We just got curbside composting this week in Spokane, WA!! We're very excited about it! !